Dive Aruba with Native Divers Aruba. We are located on the beach in front of the Marriott Surf Club. 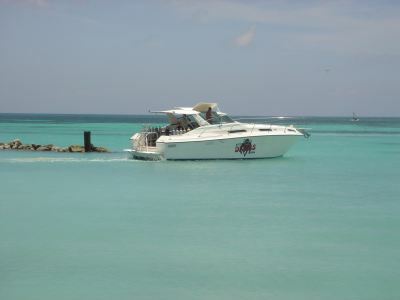 We operate a flexible dive boat schedule, allowing you to dive at your convenience. 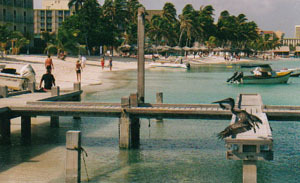 Prepare for your dive course before you come to Aruba. You can consider to buy and study the Open Water Diving Manual before you come. This will save you a lot of studying time during your stay. "No Cattle boats - our NEW! boat - with lots of space to stow away your equipment"